So you’re coming to the Big Apple and want to see some theater? Can’t say we blame you. The singing, dancing, and acting in New York City is some of the best in the world. 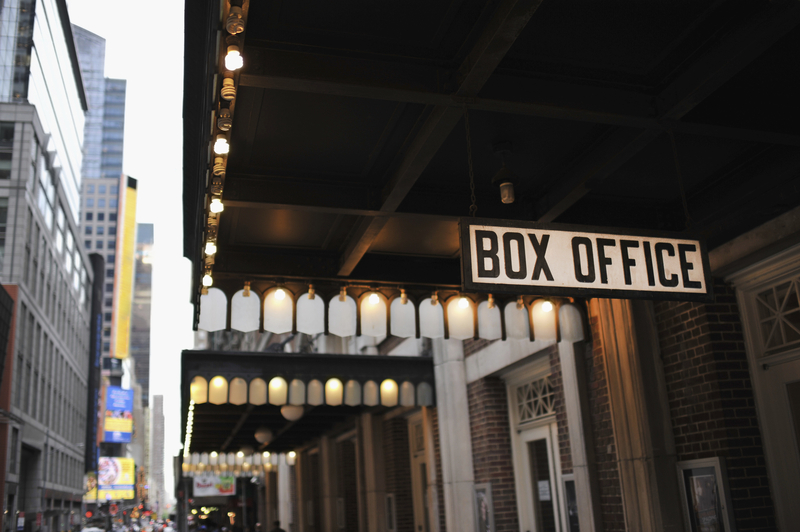 Read on to see our comprehensive list of ways to buy discount theater tickets in New York. Go during previews, or try less popular days of the week. Many theaters have special preview pricing three to four weeks before a show technically opens. So, if you head to the theater before Opening Night, you should be able to get a great deal. Also, the chances of finding a great price for a show on a Tuesday night is much better than on a Friday night. Wednesday matinees and evenings are great times to try as well. Plus, keep in mind theater is seasonal, so if you’re trying to go to a show around the holidays or in the peak tourist weeks of summer, prices will likely be higher. Many shows have rush policies for day-of tickets available when the box office opens. You might get strange looks from people on the street so early in the morning, but sitting in the first row for $30 more than makes up for it. Some shows like Small Mouth Sounds also offer mobile Rush tickets through TodayTix beginning at 10:00am the day of the performance. Be a student, or under 30, or a senior. In addition to general rush, many theaters and productions offer some form of student pricing. Some student discounts require bringing a student ID and paying in cash at the box office, and others have programs for certain age groups like MTC’s 30 under 30 program and Roundabout Theatre Company’s Hiptix. These kinds of discounts are also often available to seniors and members of the military. Many productions will often send out special discount codes to their mailing list. So don’t be afraid to sign up! The hassle of wrangling 10-15 of your closest friends to all go do something together on one night may outweigh the benefits of a group rate, but, if you’re planning a group outing, make sure to inquire about group rates. Most theaters offer discounts for large groups. Many shows offer in person, online, or mobile lotteries which allow you to begin entering each morning up until 3-4 hours prior to showtime. Check a show’s website to see if they offer an online lottery. Or you can try TodayTix’s exclusive lotteries for Fun Home, Cirque du Soleil’s Paramour, Free Shakespeare in the Park, and many Off-Broadway productions as well. And if you’re still trying to catch the elusive Hamilton, try downloading Ham App. Go old school and head to the box office. Did you see a discount somewhere that you want to use? Visit the theater’s the box office and ask if they’ll match the rate for you. You can even ask them if there are specific performances that have cheaper tickets or better inventory. People who work in theater want you to see their theater, so if there’s anything they can do to help you, they will. Subscribing to a theater company’s season is a great way to get discounted tickets before other non-members are able to purchase. Some are free and others you can join for a yearly discounted rate. Programs like Tix4Students or TDF grant you access to tickets to many productions in the city and can be joined after paying a fee. Plenty of third-party websites offer discounts to a variety of shows around town. Some websites even offer codes to use at the box office or online (just watch out for hidden fees). Though they aren’t theater sites and won’t necessarily have every show, it’s helpful to check out sites like Groupon and LivingSocial since sometimes productions will list tickets there too. 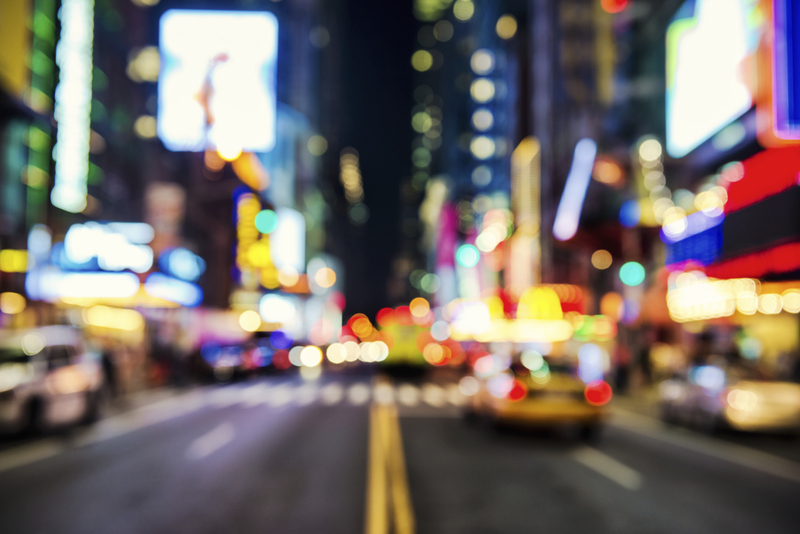 Be on the look out for Broadway Week each year and get 2-for-1 tickets to your favorite Broadway shows. Use your credit card company. If you’re getting tickets on a site like Ticketmaster, your Amex card may garner you special deals and discounts. Visa, Discover, Citi and MasterCard and most other major credit card companies have perks and rewards programs that include entertainment options too. Some cards also give you access to pre-sale options as well. 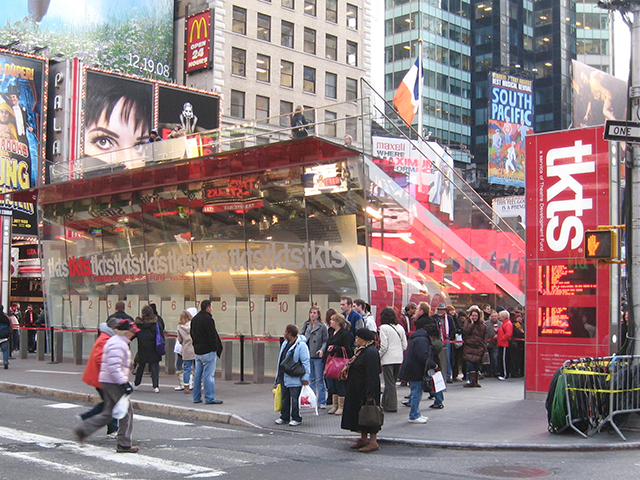 If you’re looking for day-of tickets, the TKTS booth offers tickets to select Broadway and Off-Broadway musicals, plays, and dance productions for up to 20% to 50% off regular prices. To take advantage of this option, line up at a TKTS booth the day of the performance you’d like to attend. Just try to get there as early as possible, since the lines get longer during the day. 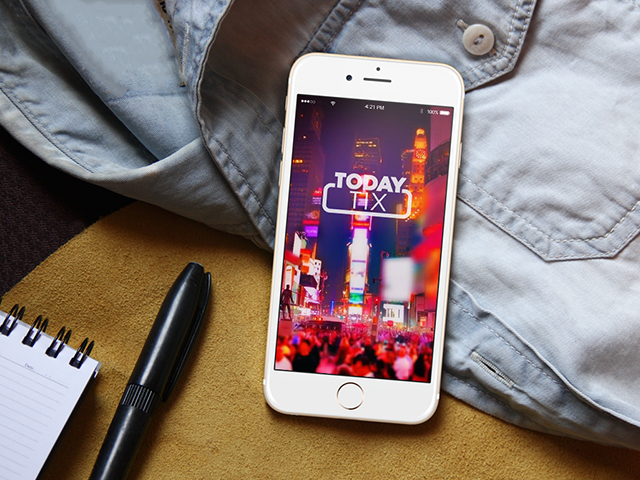 If you’re looking for last-minute discount theater tickets, check out the TodayTix app. It offers day-of tickets up until seven days out. Find all Broadway shows in one place, plus browse Off-Broadway, Opera, and comedy tickets too. You can download TodayTix for free in the App Store or Google Play. Looking to buy theater tickets in other cities? Check out our guides to getting discount theater tickets in Chicago, Washington D.C., Connecticut, and Boston.